Did you know that 72% of consumers said they would be more likely to buy a product if information for it was written in their own language? Well, nowadays, social media is a big part of how companies interact with potential consumers, so if you’re not thinking about making your social media multilingual, you’re missing out and we don’t want that for you! Here is our Ultimate Guide to Multilingual Social Media in 2019 that will set you up for a successful multilingual social media presence. Research has shown that both Facebook and Twitter have strong global audiences. But where, specifically? To start off, here’s an overview of who’s on the three social media networks we’ll discuss in this article: Facebook, Twitter, and LinkedIn. Just by knowing those countries, we can assume a large number of Facebook users are fluent in Hindi, English, Indonesian, Portuguese, Spanish, Tagalog, Vietnamese, Thai, and Turkish — and that’s just official languages, not every language spoken in those countries. The thing about Facebook is that it’s ubiquitous. People pretty much everywhere are on it and know about it. No matter what your company is all about, whether it’s big or small, you should be on Facebook. As for what languages to market to, if you’re trying to reach a market that speaks one of these languages, you should definitely be planning to go multilingual on Facebook. Country # of Facebook Users % of Pop. Over on Twitter, a 2013 study found that English is the most-used language on Twitter, but not by an overwhelming margin. Just 34% of tweets were written in English. Japanese (16%), Spanish (12%), Malay (8%), Portuguese (6%), and Arabic (6%) each had a very significant presence in the Twittersphere. Though their tweet counts are lower, French (2%), Turkish (2%), Thai (1%), and Korean (1%) also cracked the top ten list. Almost more impressively, 12% of tweets were in a different language entirely. LinkedIn is the only social media platform where the data showed LinkedIn users fairly concentrated in one country: 128 million Americans had LinkedIn accounts in 2016. That’s nearly 100 million more users than the second-highest country: India. Other countries with over 10 million LinkedIn users are Brazil, the United Kingdom, China, Canada, and France. Speaking of China, it’s notable that China had 20 million LinkedIn users. That’s the first time China, the most populous country on Earth, has a significant number of users on one of these lists. Facebook and Twitter are banned in China, and LinkedIn isn’t. Keep in mind, many countries use different social media networks than the ones we discuss here. Not just Tumblr or Pinterest, but websites you probably have never heard of. In China, Tencent, QQ, WeChat, and Weibo seem to be most popular. Be sure research your target languages to find out who’s using what platform. Again, there’s no point in translating social media if the people who speak that language won’t see it. Country # of LinkedIn Users (in millions) % of Country’s Pop. Business social media pages have lovely analytics collectors that should tell you all you need to know about who’s tuning into your page and from where. At this point, I need to warn you about something. If you’re a social media nerd like me, you could get stuck reading analytics for hours and hours and hours. Beware! Also, keep in mind that Facebook’s, Twitter’s, and LinkedIn’s integrated analytics systems won’t work for personal profiles. If you want to do this for your personal profile, there are third-party apps out there that you can use. The next page is all you need to successfully pinpoint your global audience. This page will tell you the country, city, and language of your fans and followers. It will also give you the demographics of “People Reached” and “People Engaged.” These are the people who saw your content and the people who liked, reacted, commented, or shared your content, respectively. The age and gender makeup of your audience is also here, which may or may not be useful information for you. Be aware that if your page is new or if not a lot of activity is happening on your page, this demographic data won’t appear until you hit a certain level of engagement. Twitter’s analytics system isn’t nearly as comprehensive as Facebook’s, but third-party applications can do the job for you. One of them is TweepsMap. Tweepsmap has different options at a variety of price points (including a free version!) that you can use to map your followers by location, all the way down to the city level. It also has more analytics and a social media scheduler, but we’ll get to that in a moment. From your LinkedIn page, click “Manage Page,” which should be right above your “About Us” section. Click “Analytics” at the top. A menu will drop down. 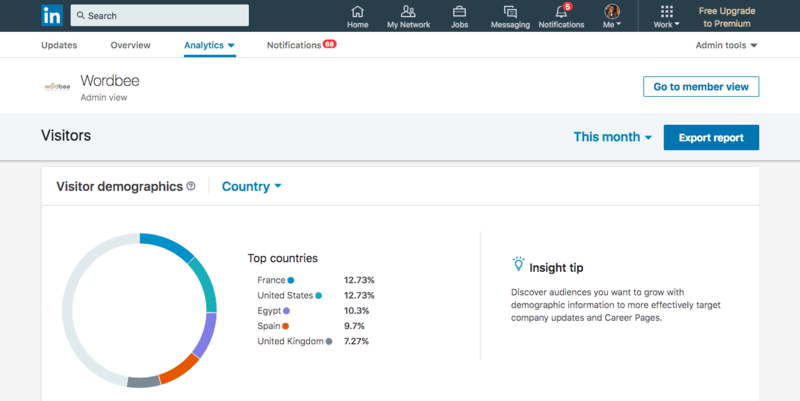 There are two different pages on the LinkedIn Analytics to find your country-based user info. First, click “Visitors.” You can set period of time you want to look at, whether it’s who visited your page in the last week, month, or year, or a different interval. Scroll down to the Visitor Demographics module, and click the drop-down menu that says “Job Function” as a default demographic. Click “Country” to see the breakdown of who visited your page from which country. Click “Region” to break it down even further and see your visitors based on metropolitan area. Scroll down to the Follower Demographic module. 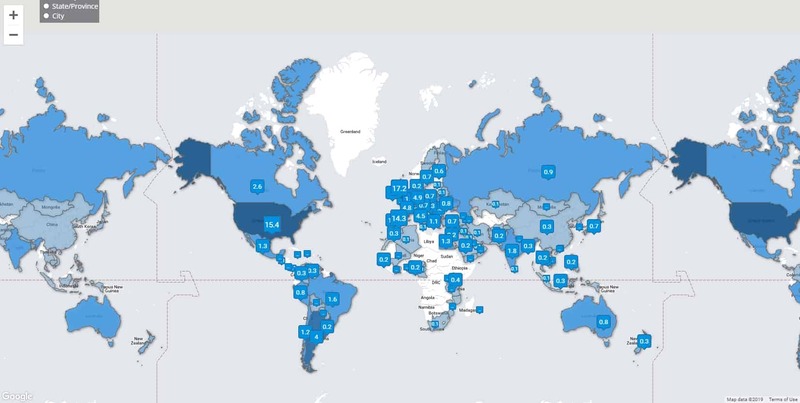 Here, you should see by default your followers broken down by country and metro region. LinkedIn differs from Facebook and Twitter in a very significant way. On Facebook and Twitter, most people probably won’t look at your page much unless they follow you. But on LinkedIn, people will go to pages they’ve never been to before to check on job postings, hiring prospects, company culture, or other information. For this reason, I suggest you put more weight on where your Visitors are coming from than where your Followers are coming from. Now that you know where your people are, it’s time to get started creating great multilingual social media content! Step one of successfully running social media across languages is don’t overwhelm your audience with content. It should be stated that creating multilingual content for Facebook and Twitter, in particular, is a lot of time-consuming work. If your company has a global presence, but the vast majority of your business is in one country, you may not need to get into the multilingual game. Alternatively, even if you have a huge global presence but you can only afford to hire one social media manager, you may not have the capacity to market your social media in multiple languages. Now, for the “how-to.” Avoid translating posts into several languages and publishing them multiple times the same day. What you need is consistency and fresh material. There are few ways you can do this depending on which social media platform you’re on. 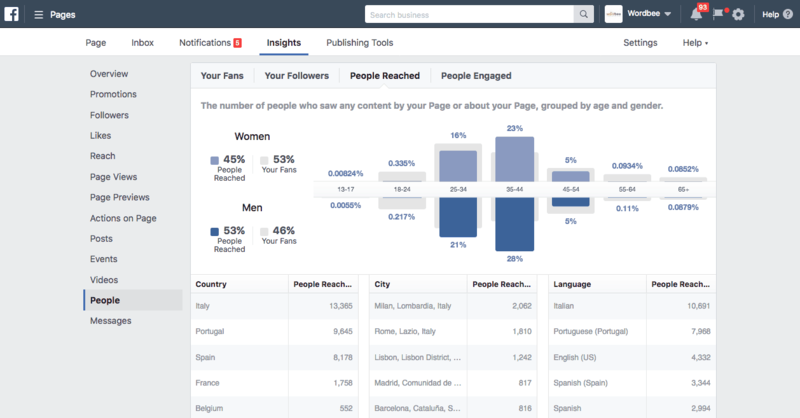 Facebook knows it’s a key player in globl multilingual marketing, so it rolled out a feature called Global Pages to help international companies manage localized content. Basically, Global Pages let you create multiple Facebook pages for different geographical regions. Facebook won’t translate and localize these pages for you. You create secondary region pages with localized content. These pages all connect to a parent “Global” page. Facebook recommends you start slow and learn the structure of Global pages before overhauling your Facebook presence. It’s recommended that you get the hang of operating one or two region pages first, but for reference, Pepsi has 70 different region pages and Coca-Cola has 104. So here’s how it works. When someone goes to your brand’s page, they’ll be automatically redirected to their region’s page. They are able to change the region they see if they want to, but they can’t follow multiple regions from a single brand. You’ll get separate Insights for each region page. The Global page will have Insights for all the region pages combined. Each region page will have its own messages inbox. When someone goes to tag your company in a post, their region page will be tagged. Creating and scheduling content for Global pages works about the same as for individual pages. You can publish region-specific content for each page, or you can publish universal content that will go out to all of the region pages. You can also connect multiple region pages to a third-party social media scheduling app. Keep in mind that global pages target countries, not languages. So, for example, you couldn’t create French Canadian and English Canadian pages. You can, however, use Facebook to target specific posts for a region page based on language, so one group sees only English posts and another group French posts. Here’s some info on how to make your pages Global, and here’s an awesome FAQ guide. On the flip side, some groups may not want to operate Global pages. Starbucks is a huge global company that hasn’t gotten on the Global pages train. Instead, it operates individual Facebook pages for individual stores and posts separately to each of those. If your company is like that, and you’re going to want to target groups at a hyper-specific level, Global pages are probably not for you. In that case, you’re probably going to want to open up multiple, unconnected Facebook pages, create localized content for each one, and use a strong post scheduler to keep it all organized. More on that later. In summary, Facebook Global pages are great at targeting countries, but they’re kind of tedious to target more intricately. On the other hand, unconnected Facebook pages can target far more specifically, but it may be harder for people to find the Facebook page that’s best for them. In its terms and conditions, LinkedIn prohibits companies creating more than one account. However, like Facebook, LinkedIn allows you to create “secondary language profiles.” Unlike Facebook, LinkedIn offers this feature to both business pages and personal pages. When they visit your page, viewers will see whatever language you originally created the page in, but a drop-down menu allows them to change the language to one they’d prefer. Languages currently supported in this feature are: English, Chinese (simplified and traditional), Czech, Danish, Dutch, French, German, Indonesian, Italian, Japanese, Korean, Malay, Norwegian, Polish, Portuguese, Romanian, Russian, Spanish, Swedish, Tagalog, Thai, and Turkish. Posting to LinkedIn’s feed isn’t changed by creating a secondary language profile. All your posts will still show up in the same place the same way, regardless of which language profiles you’ve created. However, LinkedIn allows companies over a certain size target posts to a specific audience. In this way, you can target by language or country. This feature is separate from secondary language profiles. Remember that LinkedIn is a much more serious place than Facebook and especially Twitter. You need to know slang, and avoid it. Users should also refrain from posting just for the sake of posting. Major company updates, job openings, departure of long-time employees? Yes. Inappropriate jokes or silly banter? No. But now we’ve gotten to what’s obviously the most important part of making social media content multilingual: you have to translate and localize it, and you have to do it well. It’s very common for groups to run several Twitter accounts, each in a different language. Ads can get a little trickier when you operate multiple Twitter accounts. You’ll have to run separate ad campaigns for separate accounts. However, you can promote a hashtag as part of Twitter Ads, which would allow you to boost more than one account at once, depending on the hashtag. Besides that, operating multiple multilingual Twitter accounts is surprisingly straightforward. Using a tool behind the scenes to schedule your posts, you might not even notice you’re operating more than one Twitter account! Here at Wordbee, Buffer works well for us. We use it because it satisfies all of those bullet points above. It’s also very user-friendly, so you can learn to use it really quickly. As a bonus, the interface is really nice to look at. It’s easy to see your posts laid out all at once without it being overwhelming. There’s a free plan on Buffer that may work for very small groups, but you can only schedule for 3 accounts on the free plan. For multilingual social media strategies, you’ll likely end up with more than 3 accounts if you create different accounts for each language. 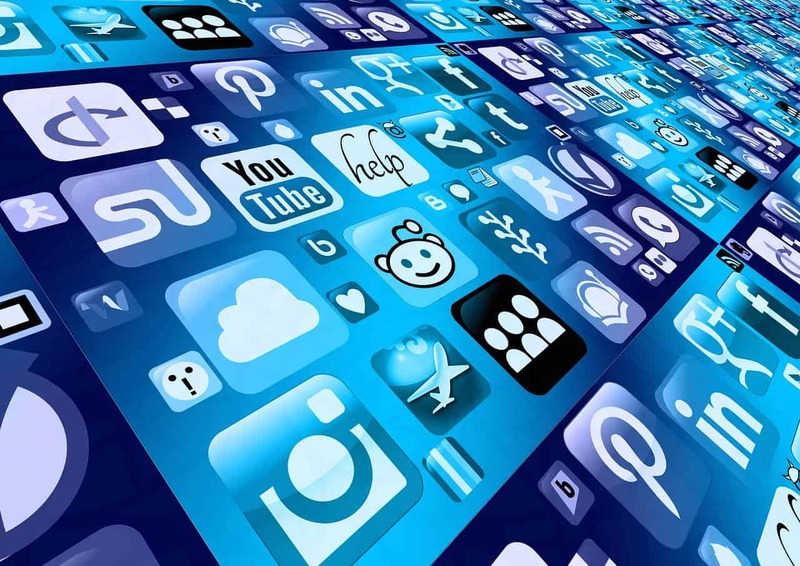 For groups that are planning to post content to a very large number of social media pages in many different languages, we recommend SocialPilot. There isn’t a free plan, but you can schedule crazy large amounts of content without spending a ton of money. StatusBrew is another interesting option for groups that may be scheduling a lot of content on a lot of different accounts. Unlike other schedulers, you can create a custom plan, so you’re only paying for the services you need. MavSocial is a scheduler that’s often brought up for being multilingual social media-friendly. It allows for integration with WeChat, a social media network that’s really popular in China. It also has a post-approval process, so you can hold posts until someone can approve them. That way, you can always check that multilingual posts make sense and aren’t embarrassing before they’re posted! Of course, you could use a machine translator like Google Translate, but don’t expect it to be perfect … or even coherent. Machine translators usually translate word-for-word, ignoring important context clues and quirks of localized language. Find a system that works for you. There are two different processes you can use, and I bet you can guess what they are: hire a human translator (or several), or use a machine translator with smarts and be ready to post-edit. It’s pretty unlikely that your social media manager knows every language you want to market to, although a multilingual social media manager would be a very valuable resource. But realistically, your social media manager is probably going to need a translator. Depending on the scale of your social media presence and the scale of your company, your need for a translator will be different. If your company is relatively small and you’re only planning to coordinate social media in one or two other languages, you can probably hire individual freelance translators who will translate and localize your posts for you. At a larger scale, you’ll probably want to use a translation service — and an assistant to help you schedule all your posts for the different accounts without going crazy! And if your company already has a localization department, you’d probably do well to go and talk to them about it, too! But if you’re already thinking globally for social media, chances are you’re probably going to need to translate other materials as well. After all, your new customers are going to get quite a shock when they get to your page and realize only your social media was translated! If that’s the case, you’re going to need a multi-purpose translation system, which is where Wordbee can step in to help your business thrive. In Wordbee Translator, you can choose from a variety of machine translation engines to translate your social media posts. But unlike stand-alone machine translation engines such as Google Translate or Bing Translator, the Wordbee system will learn and remember how you translate certain words and phrases as you go. If a translation sounds off to you, you can easily have a post-edit job done to clean things up with a human translator. You can use Wordbee for other types of content: your website, your marketing emails, even internal documents or physical text, like on product packaging. That way, from first Twitter to final purchase, you’ll be connecting 100% with your new global consumers. You can also work with a third-party LSP to get your social media posts translated. Choosing an LSP is a lot like hiring other members of your team. You’ll want to look for an LSP that’s stable, reliable, high-quality, professional, and prompt. When you translate your social media posts with an LSP, you’ll likely need to put all of your posts into a document, which would be translated and sent back to you for you to copy-paste for social media. You may have more questions about multilingual social media, and rightly so! It’s a multifaceted topic. Feel free to reach out to us here at Wordbee to find out how we can help with the translation end of things. Or, follow us on Facebook, Twitter, or LinkedIn, and feel free to ask questions there!